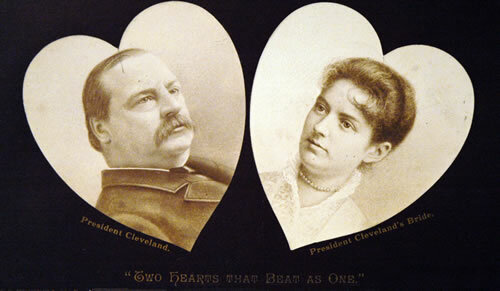 Grover Cleveland was a bachelor when he assumed the presidency in 1885. One year later he made history by becoming the first president to marry in the White House. On June 2, 1886 he took Frances Clara Folsom as his bride. The ceremony was held in the blue room. Frances, 27 years his junior, was the daughter of Cleveland’s law firm partner. Educated at Wells College, She was a popular First Lady. The Clevelands had five children, three girls and two boys. Their first born had a candy bar named after her. Their second child, Esther, was the first baby of a president to be born in the White House. Third daughter Marion was born in 1895. Sons Richard and Francis were born in 1897 and 1903, respectively. 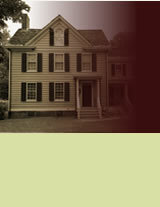 As a family they enjoyed the outdoors spending their summers in Massachusetts and later in New Hampshire. Grover Cleveland died on June 24, 1908 and is buried in the Princeton cemetery. His wife, his daughter Ruth and his Wife’s Parents are buried along side him. Among Cleveland’s final words was the statement “ I have tried so hard to do right.” His personal and political legacy remains a testament to the Constancy of this deep-seated conviction.